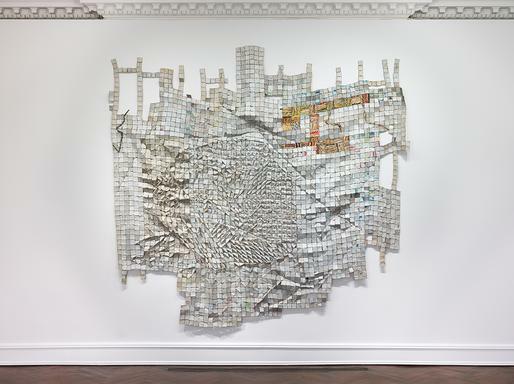 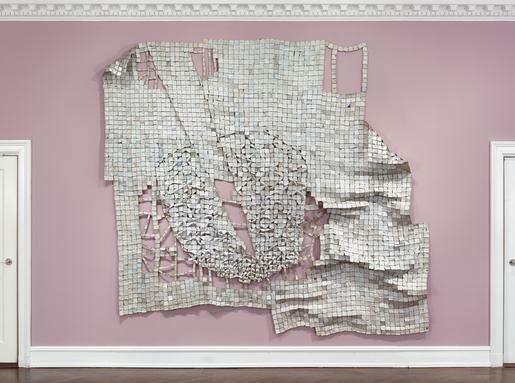 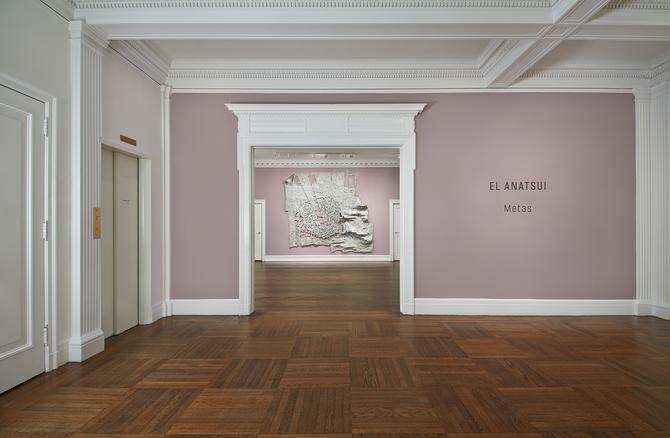 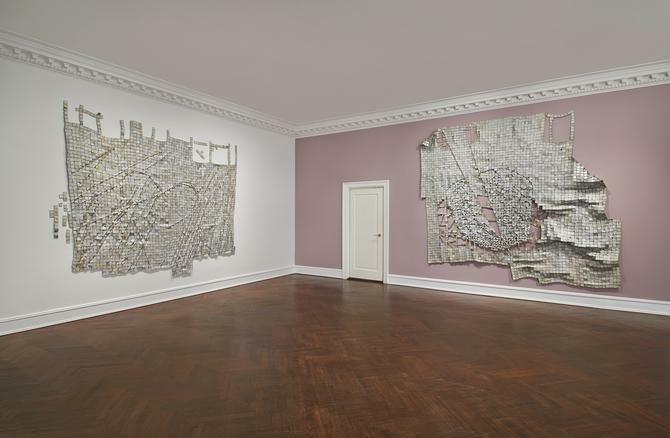 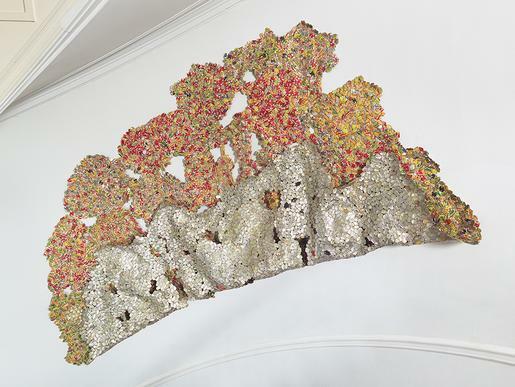 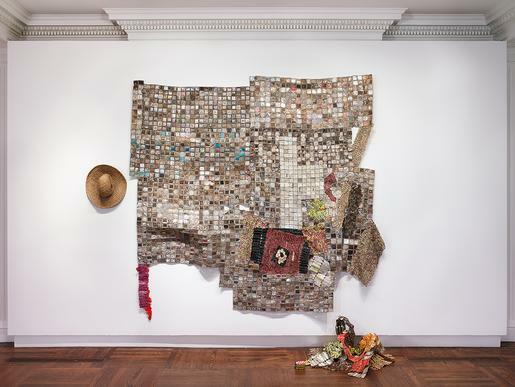 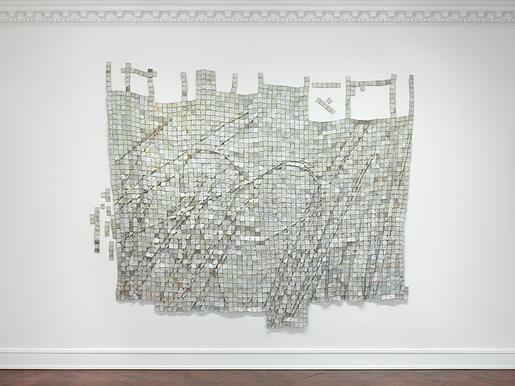 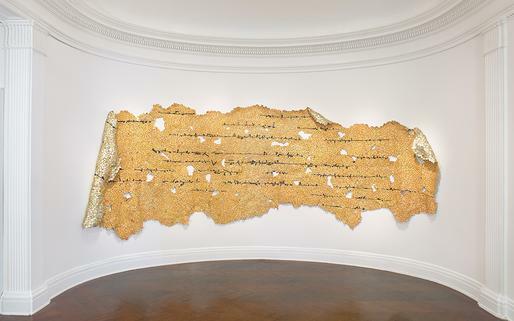 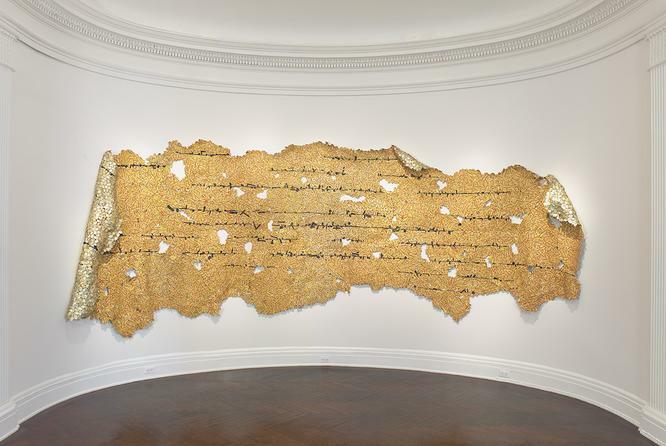 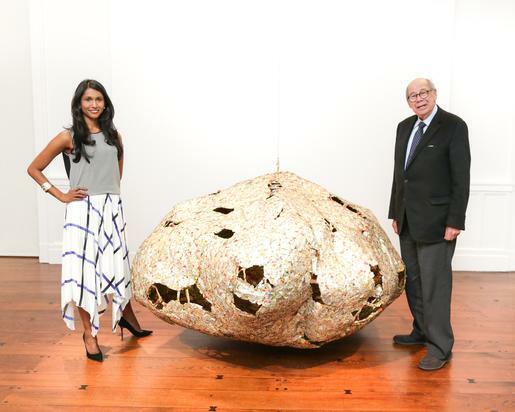 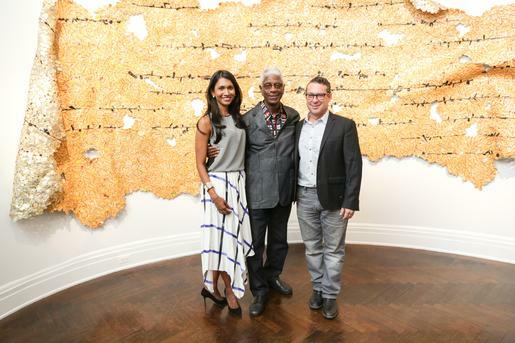 Mnuchin Gallery is proud to announce Metas, an exhibition by globally renowned artist El Anatsui. 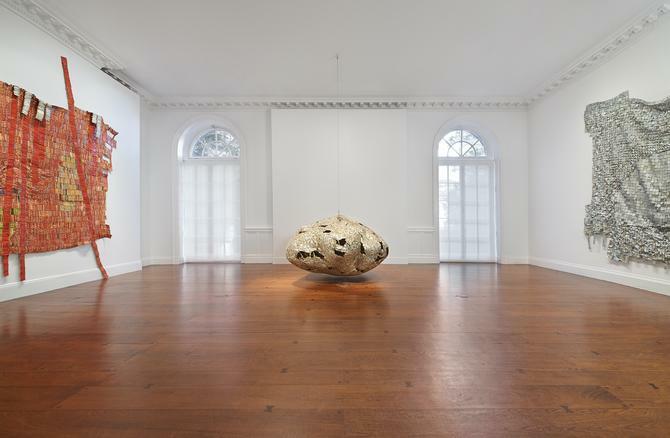 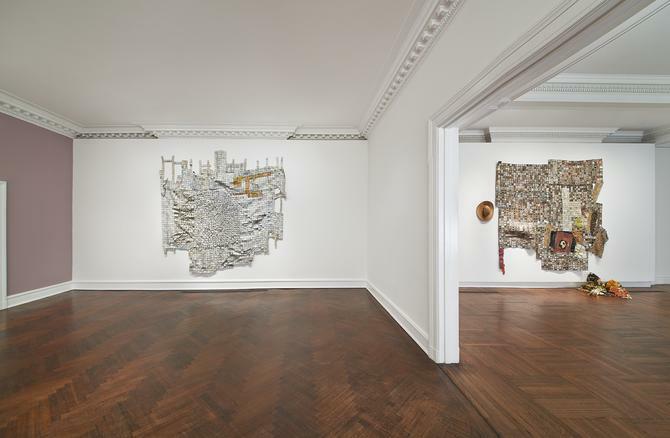 The show will present all new work by the artist, inspired in part by the architectural spaces of the gallery’s historic townhouse. 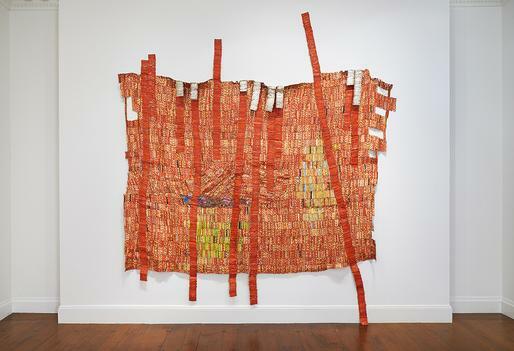 This will be Anatsui’s first exhibition in New York since his acclaimed solo show, Gravity and Grace: Monumental Works by El Anatsui, traveled to the Brooklyn Museum in 2013. 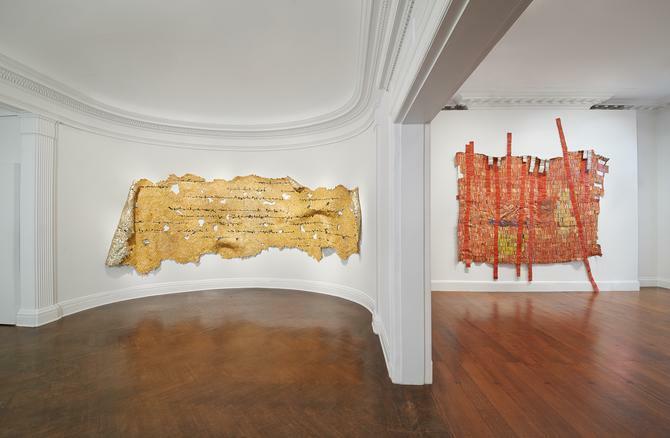 Organized in collaboration with Jack Shainman Gallery, it is the artist’s first exhibition on New York’s Upper East Side. 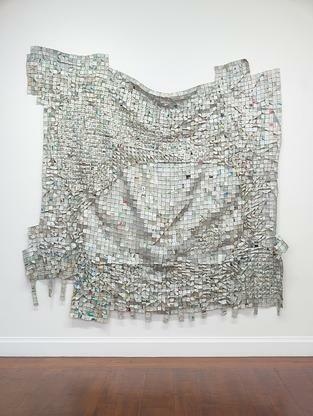 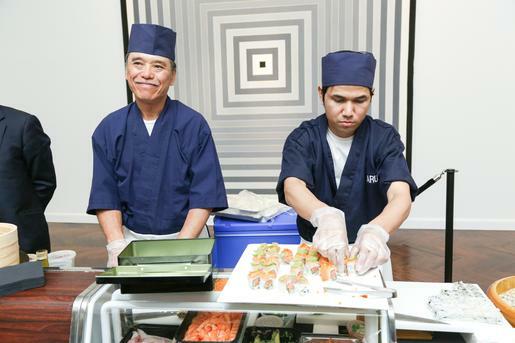 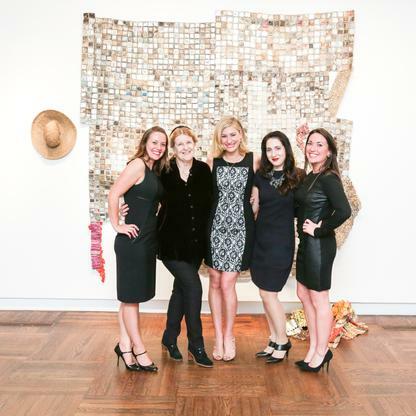 The show will be on view from October 28 through December 13, 2014. 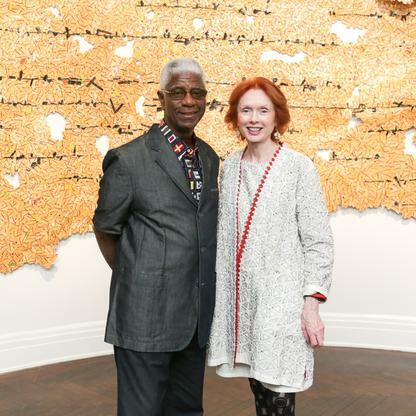 In 1990, a man named El Anatsui was among the first batch of sub-Saharan Africans ever to present at the Venice Bienniale, the grand ball of the art world. 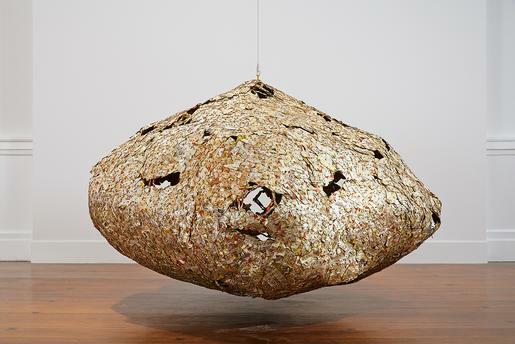 By 2007, the Ghanaian artist was the beau of the very same ball, having transformed the end of the Bienniale's main hall, the Arsenale, into a corridor of disorienting light, beamed off the sort of ingenious piece that would become his calling card: a suspended sheet woven of flattened liquor bottle caps. 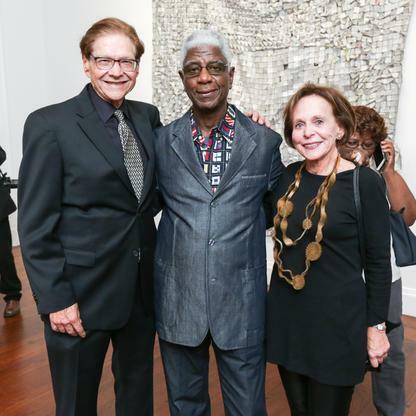 For one of the most famous colorists in the contemporary art world, it was a shock to hear El Anatsui detail his devotion to gray and its many shades. 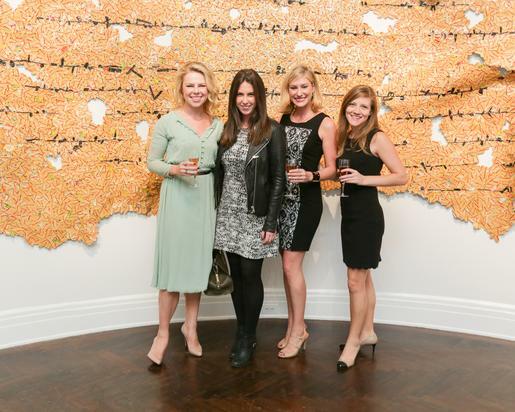 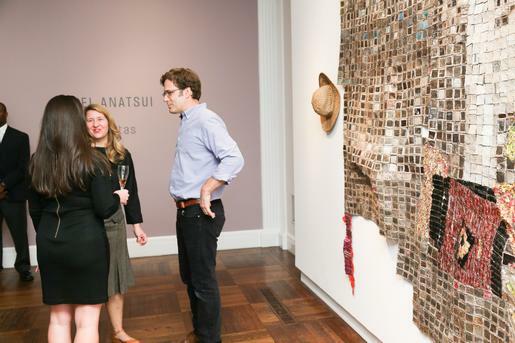 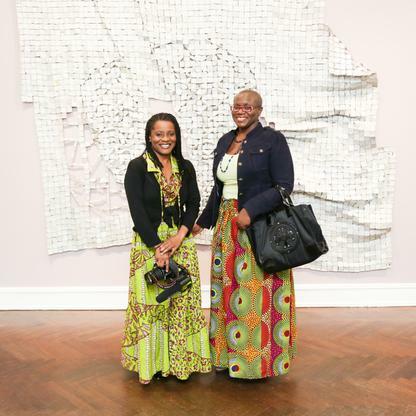 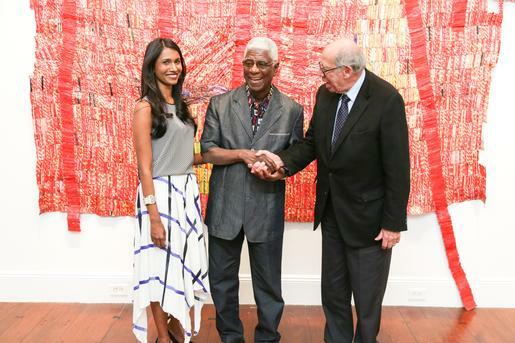 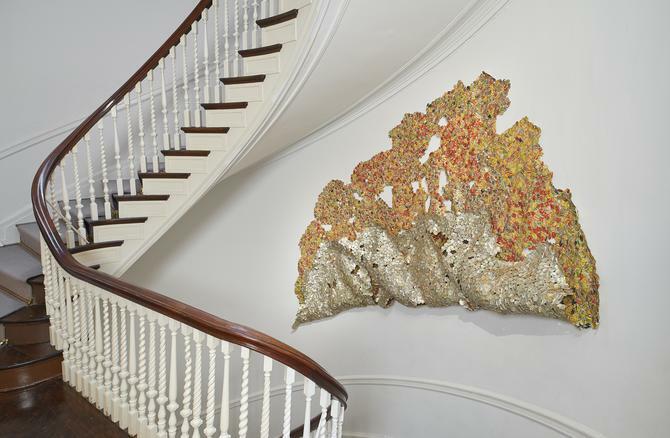 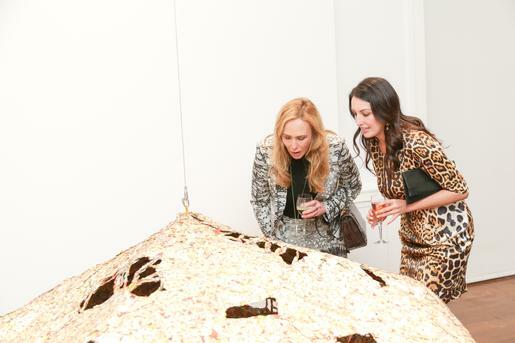 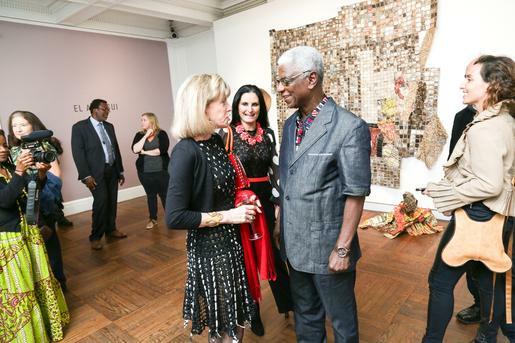 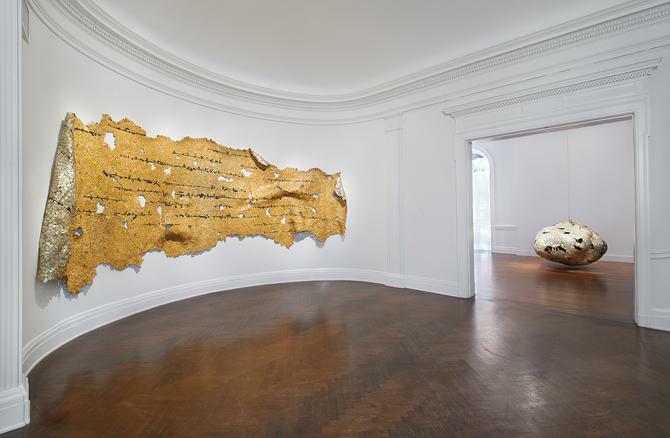 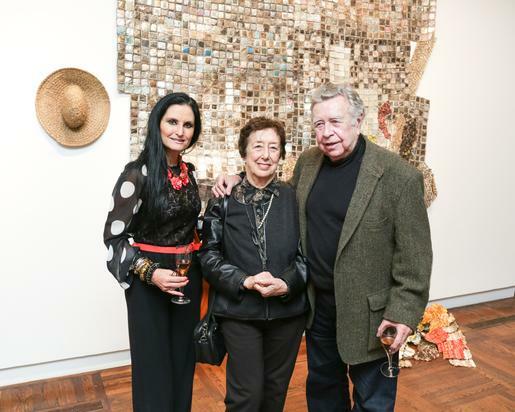 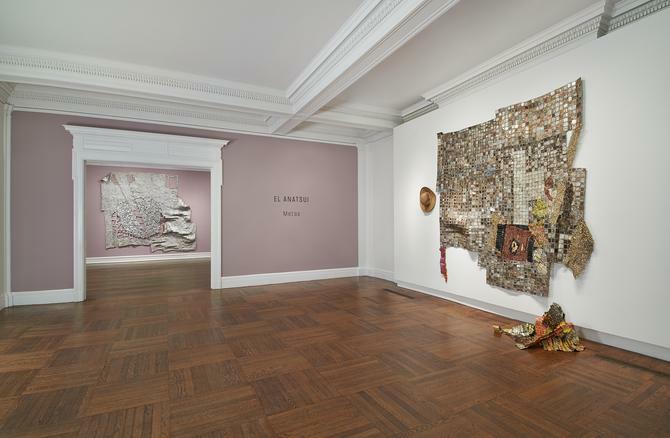 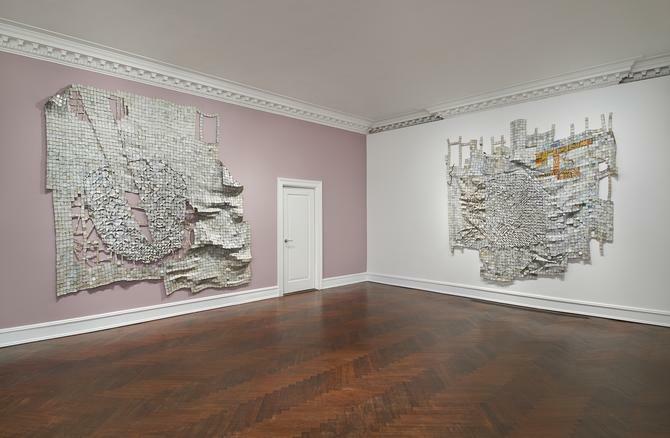 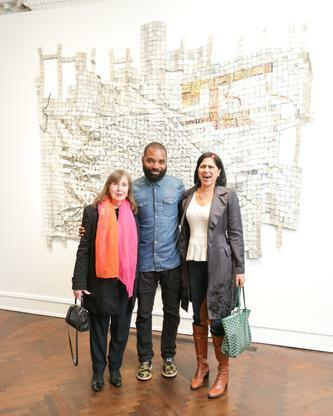 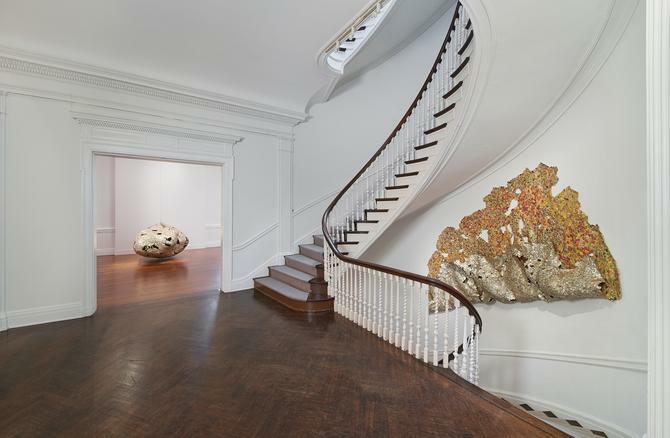 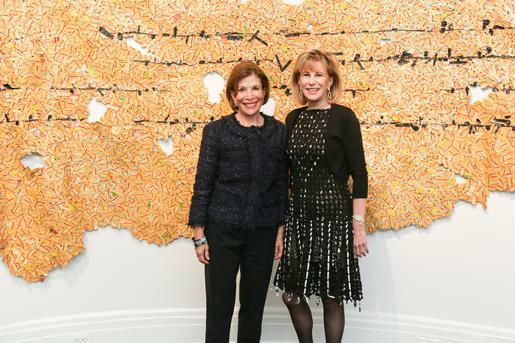 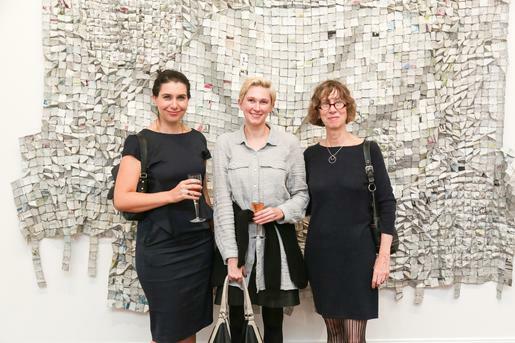 Anatsui spoke at Mnuchin Gallery for the occasion of his new exhibition, “Metas,” which opened yesterday at the gallery’s East 78th Street location and runs through December 13. 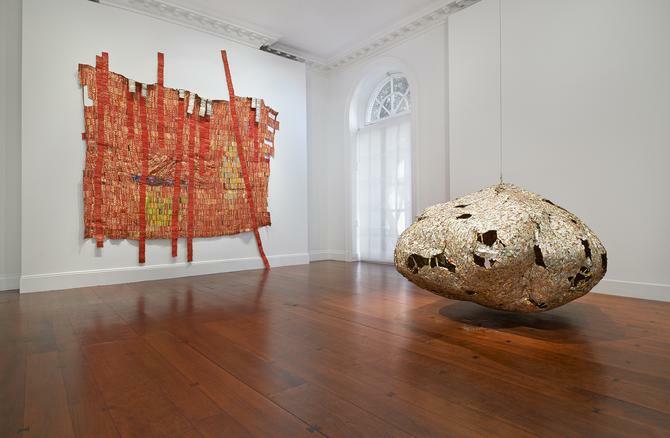 El Anatsui, contemporary art’s master of recycled scrap metal, never wears gloves. 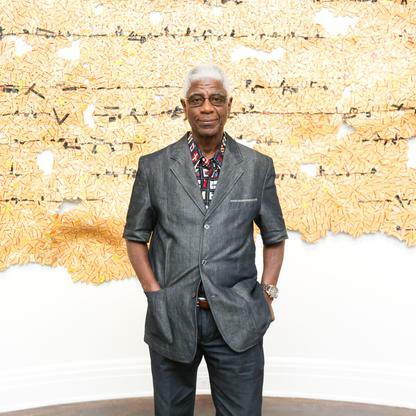 A habit of bare hands can be worrisome for some artists, but for Mr. Anatsui, it’s downright dangerous: his works may resemble glittering tapestries, but really they’re all barbs and sharp edges, a rough network of flattened and hammered metal parts, hinged with copper wires into massive sheets of rippling armor. 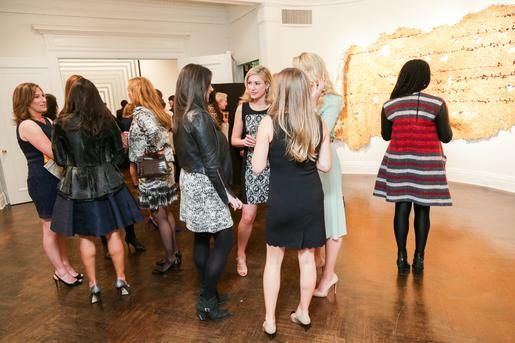 Historical surveys are a popular mainstay among gallery owners. 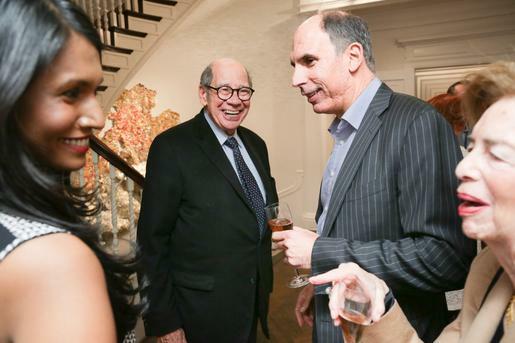 And now success appears to have multiple fathers, at least if Picasso and a group of European avant-gardists known as the Zero Group are any indication.